A huge helping of 12 happy harvest songs for children, perfectly picked and ready for singing! 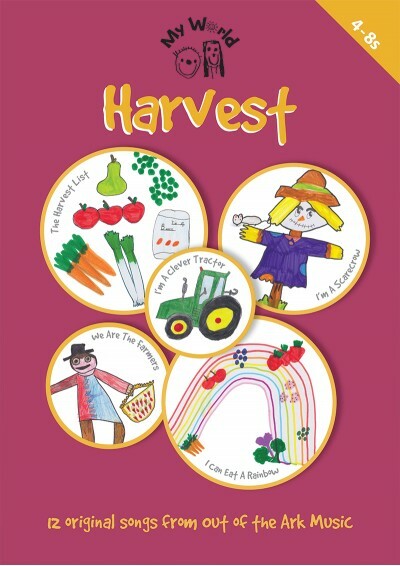 In this fabulous collection of harvest songs for younger voices, you’ll find plenty for your harvest celebration including The Harvest List, Thank You God, We Can Help and a fabulous Harvest Hoedown, alongside an abundance of songs for you to sing all the way through autumn as you become a scarecrow, sing about potatoes, learn about healthy eating and much more! So gather the children together and enjoy this bumper yield of fantastically fun and catchy songs. All songs are written for children aged 4-8 and feature helpful curriculum links for each song. Includes a Words on Screen™ v2 eSongbook option for easy rehearsing using highlighted lyrics synchronized with the music.